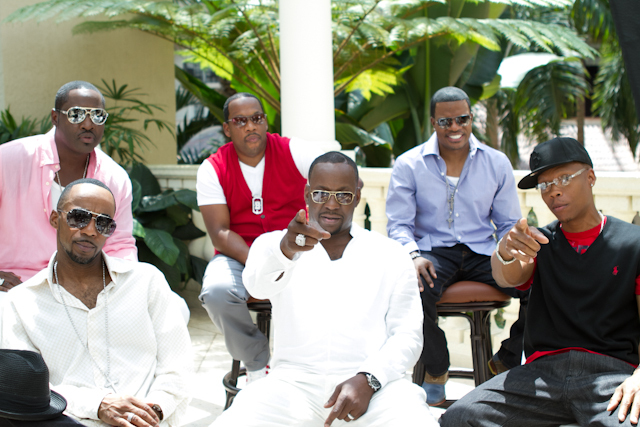 Eric Benet, Bobby Brown with New Edition and Diggy Simmons at "The Reunion"
-Thousands of families from all over the country came together in Kissimmee Florida this past Labor Day weekend Aug. 31 – Sept. 3 for the 2012 Allstate Tom Joyner Family Reunion® at the Gaylord Palms/Orlando. 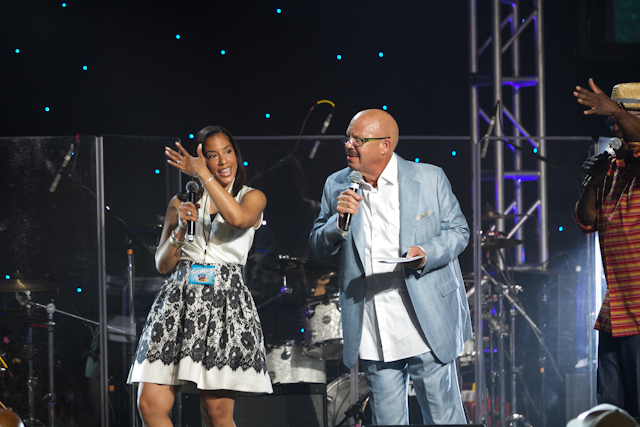 Legendary radio veteran Tom Joyner, along with Allstate Insurance Company will celebrate ten unforgettable years of family fun with show-stopping sold out concerts, access to theme parks, informative seminars and numerous activities created for guests of all ages. 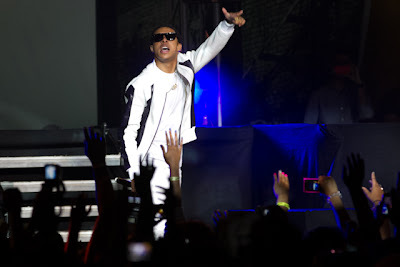 The event was highlighted by the return of Bobby Brown, performing with New Edition, Rev Omarosa Manigault providing a sermon The Gospel Explosion, and the Scream Tour Next Generation (featuring Diggy Simmons, Rev Run’s son and the OMG Girlz. Title sponsor Allstate, was active In Their Quotes for Education program raising money to support students attending Historically Black Colleges and Universities. 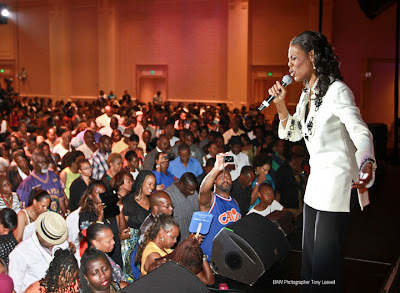 Last year, over 14,000 attended for what may be the popular destination event celebrating ‘Black Family’ and unforgettable fun with celebrity appearances, exclusive concerts, unique activities, seminars, theme parks and more. This year, even more families attended, with numbers reaching upwards of 16,000. Established in 2003, “party with a purpose” is a budget-friendly event providing the ultimate Tom Joyner experience for the popular personality’s more than eight million weekly listeners. 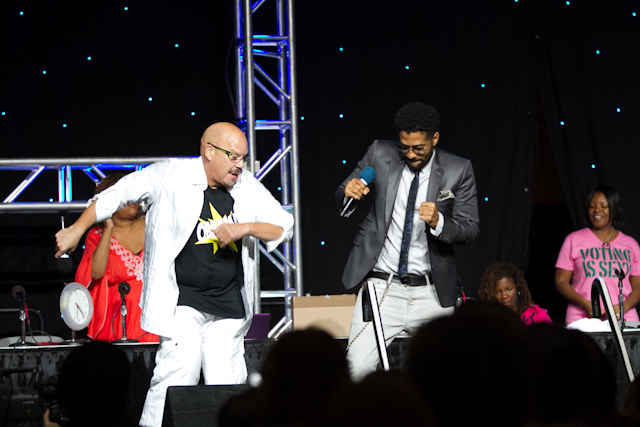 For the 6th consecutive year, Allstate continues its commitment and support of Joyner by serving as the event’s title sponsor. 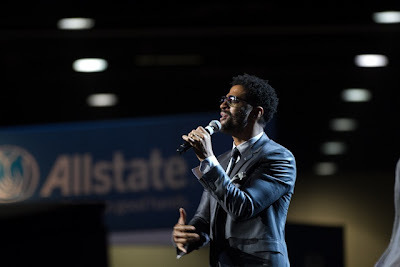 Throughout the weekend, Allstate showcased their dedication in providing African American families with a fun, affordable vacation by sponsoring the event’s Opening Night Reception, Sunday morning celebrity meet and greet, expo job/career fair and trip give away to next year’s event. 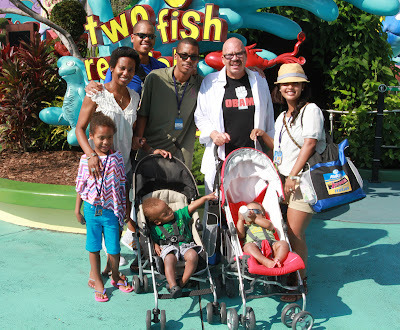 Other 2012 Allstate Tom Joyner Family Reunion® event sponsors include Alzheimer’s Association, Cracker Barrel, Kissimmee, FL, Visit Orlando, Susan G. Komen, United Healthcare, Centric, TBS’ For Better or Worse, Cartoon Network, Fox’s Won’t Back Down and NBC’s Guys with Kids. 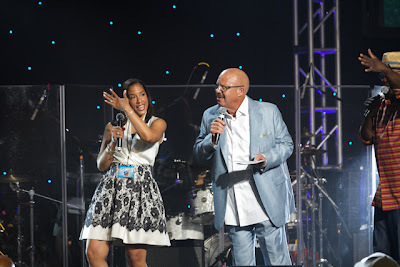 From exciting live performances to informative, empowering seminars, no other event in the country matches the 2012 Allstate Tom Joyner Family Reunion® in value and exclusive entertainment. Featuring the biggest and best old school and new school performances, the nightly concerts opened on Friday evening, August 31. 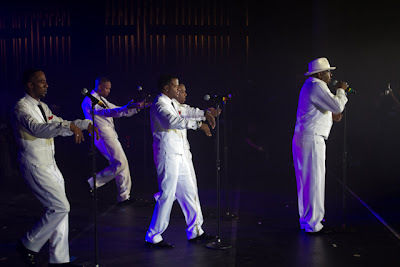 This year’s expo and concert hall featured musical performances by New Edition, KEM, Kenny Lattimore, Tye Tribbett, Dottie Peoples, Lenny Williams, Diggy Simmons, OMG Girlz, Angie Stone, Tamia, Tamela and David Mann, Dr. Bobby Jones and many more. 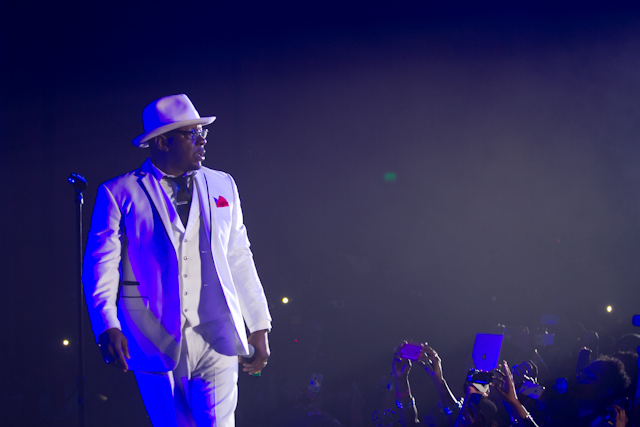 In addition to the unforgettable LIVE concerts, the event that boasts “something for everyone” showcased inspirational forums, late night comedy shows hosted by Tom Joyner Morning Show crew members J. Anthony Brown and Huggy Lowdown and engaging seminars led by celebrity guest speakers Sharon and Billy Blanks Jr.,Tisha Campbell-Martin, Royce Reed, Rev. 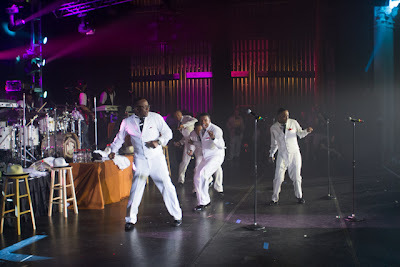 Omarosa Manigault, AJ Johnson, Thaddeus Bullard AKA WWE Superstar Titus O'Niel. The weekend also featured a vow renewal ceremony for more than 45 guests who wanted to recommit and showcase their love. 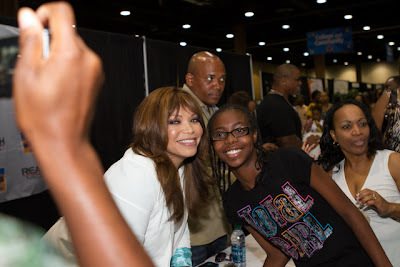 The FREE and open to the public expo also hosted dozens of vendors, interactive exhibits, demos and exclusive celebrity autograph signings including a career fair and over 150 exhibitors. 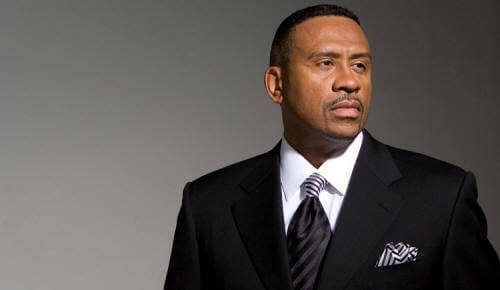 For full weekend line-up, visit www.blackamericaweb.com. For the 10th year, the 2012 Allstate Tom Joyner Family Reunion® was held at the newly remodeled Gaylord Palms Resort & Convention Center.